Arrive in Osaka, where you will be met by an airport representative for your transfer to your hotel in Kyoto. After breakfast in the hotel, commence a full-day sightseeing in Kyoto. 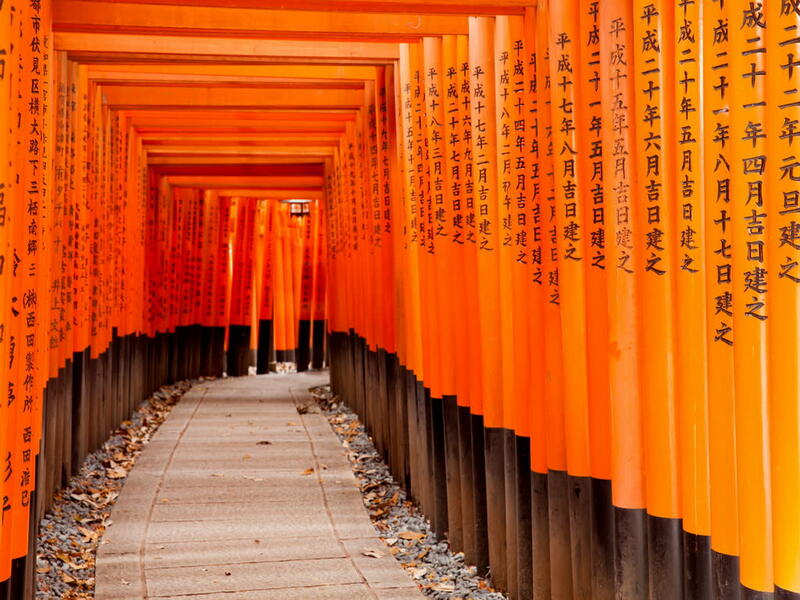 Visit Fushimi Inari Shrine, the most famous shrine dedicated to Inari, the Fushimi Inari Shrine is surrounded by countless torii gates, offerings by worshippers that cover the hiking trails of Inarisan, the wooded mountain behind the shrine’s main buildings. Next, we will tour the glittering Kinkaku-ji Temple (Golden Pavilion) — covered with gold leaf, surrounded by green gardens and set on a lovely, tranquil pond. Then, visit Nijo Castle, renowned as a priceless example of the architectural style of that period. It was built in the early 17th century as a residence of the shoguns who ruled Japan for more than 250 years. From here we venture to the Gion district, the old Geisha Quarter. We will have free time to explore the Gion district. 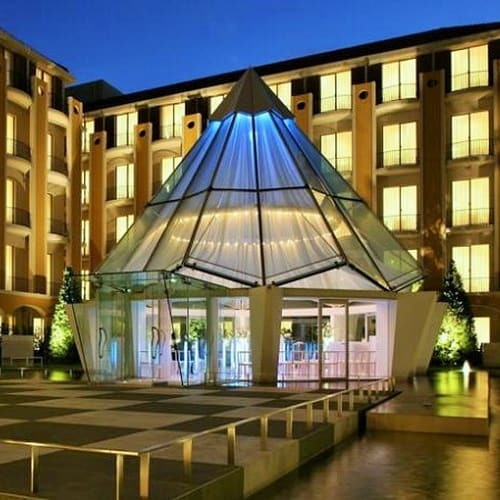 Return to your hotel at leisure. 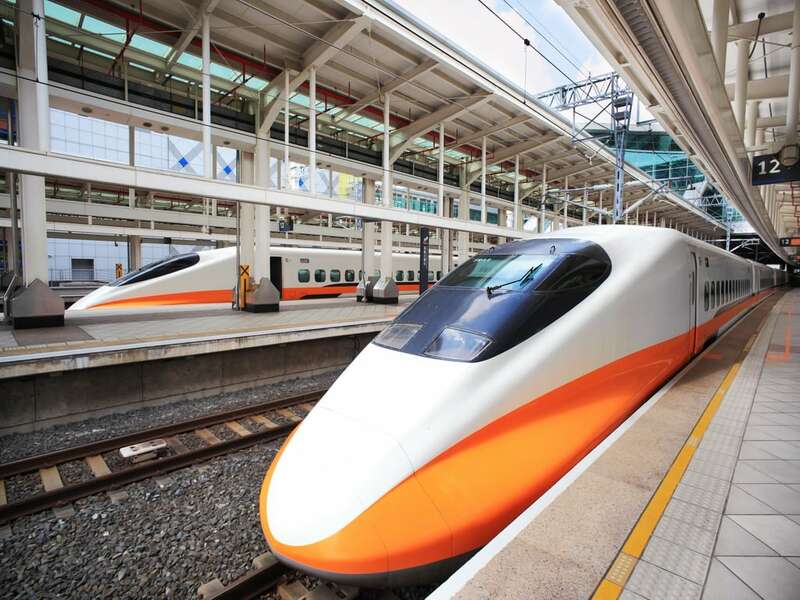 We board a bullet train to Hiroshima on Japan’s Honshu Island. Discover the world heritage sites of Hiroshima and Miyajima. 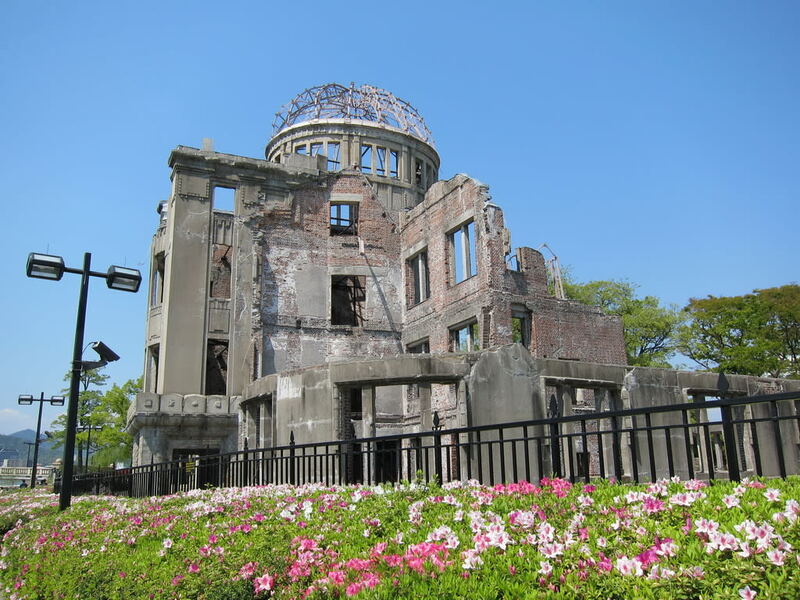 Start at the Atomic Bomb Memorial Dome and Peace Memorial Museum to tour the profound exhibits, many of which include remnants from the 1945 atomic bombing of the city. Then, travel to Miyajimaguchi, where you will be transferred by ferry bound for Miyajima, known since ancient times as the Sacred Island, and one of Japan’s most beautiful landscapes. 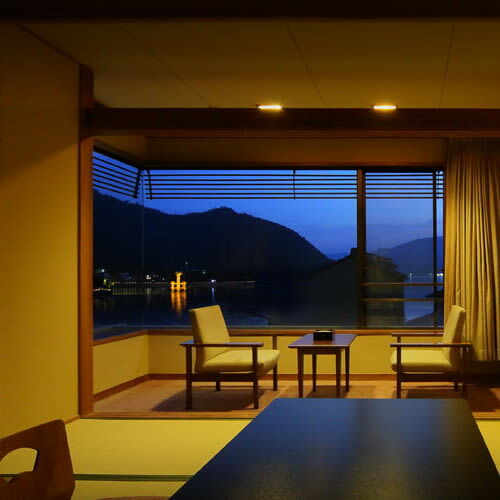 Tonight, rest at a Japanese inspired room in Miyajima. *Your main suitcase will be transferred directly to Tokyo. Please bring a overnight bag with your for your stay in Miyajima. 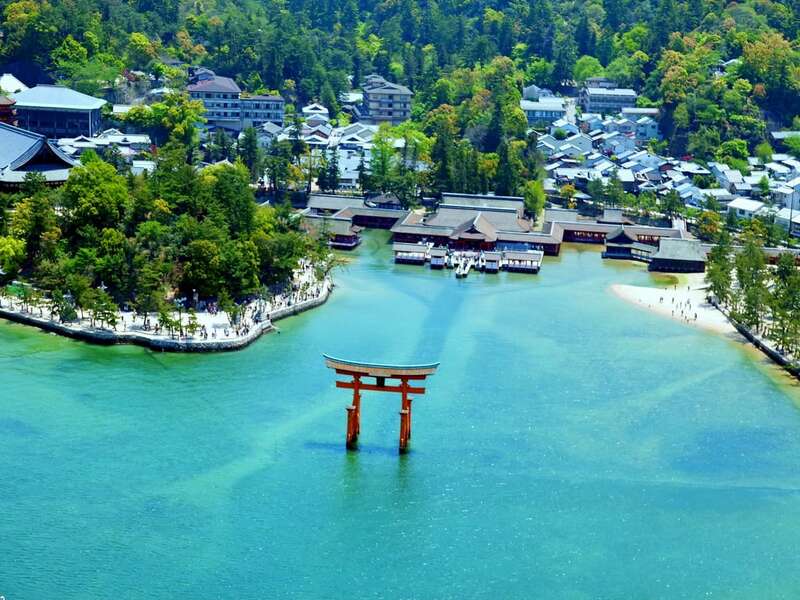 In the morning, we explore the island on a walking tour, as your guide details the history of the island’s iconic red Itsukushima Shrine, a UNESCO World Heritage site which appears to float on the water at high tide. Continue to the colorful five-storied pagoda, originally built in 1407. The pagoda was constructed in Japanese style with Chinese influence. We board a ferry back to Hiroshima where we will board a bullet train to Tokyo. From the Tokyo train station, we will be met and escorted to our hotel. In the morning, set off for a Tokyo city tour, take in the panoramic view of Tokyo from the main observation platform of the Tokyo Tower. Stroll the grounds of Meiji-Jingu, the most popular Shinto shrine in Japan. Established in 1920 and dedicated to Emperor Meiji and his wife, the shrine stands surrounded by more than 100,000 trees that have been donated by people from all over Japan. Our next stop is Tokyo’s most fashionable shopping districts – Harajuku. Continue to the Imperial Palace Plaza, a functional palace where the emperor and his family reside. Much of the palace grounds – including the palace itself – are closed to the public and secluded behind, massive stone walls, old trees and Edo Period moats. 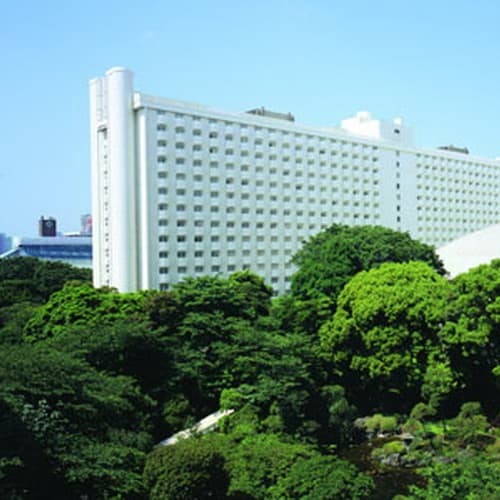 The Imperial Palace building itself is an expansive, low building of concrete veiled with a green roof. It was completed in 1970 to replace the wooden residence destroyed in a 1945 allied air raid. Our final stop is the Asakusa Kannon Temple, one of Tokyo’s most venerated temple sites. The Asakusa Kannon Temple is dedicated to the Bodhisattva, Guan Yin, the Chinese deity of mercy and benevolence that has its origins in Hindu belief from India. Around the temple are alleys of shops selling all manner of souvenirs and crafts. Travel to Mt. Fuji, Japan’s highest mountain that reaches 12,388 feet. Stop at Mt. Fuji’s fifth station at 7,607 feet (weather permitting), where you will be inspired by the beauty of the landscape. After lunch, take a 20 minutes scenic cable car ride up from Owakundani to Togendai. 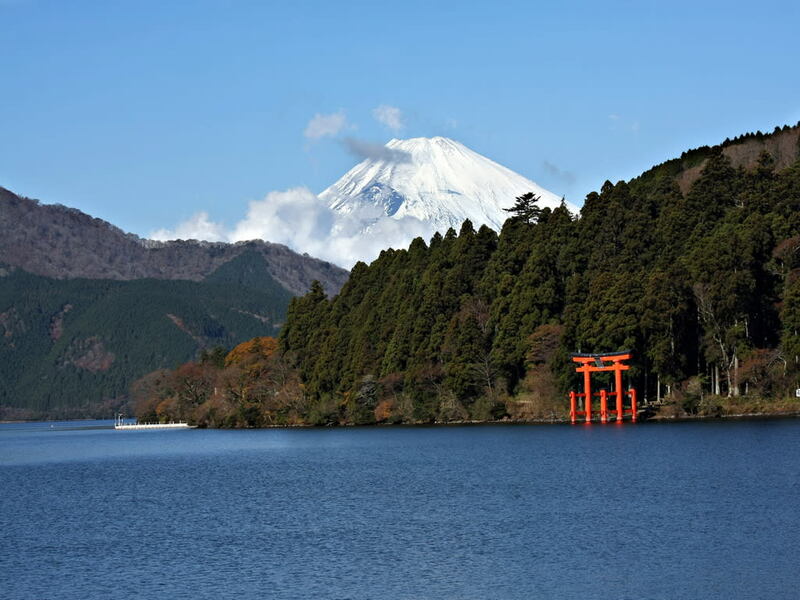 The area is here is famed for its scenic views and kuro-tamago hot springs. Then, we enjoy a boat ride across the picturesque Lake Ashi. We return to our hotel in the late afternoon.